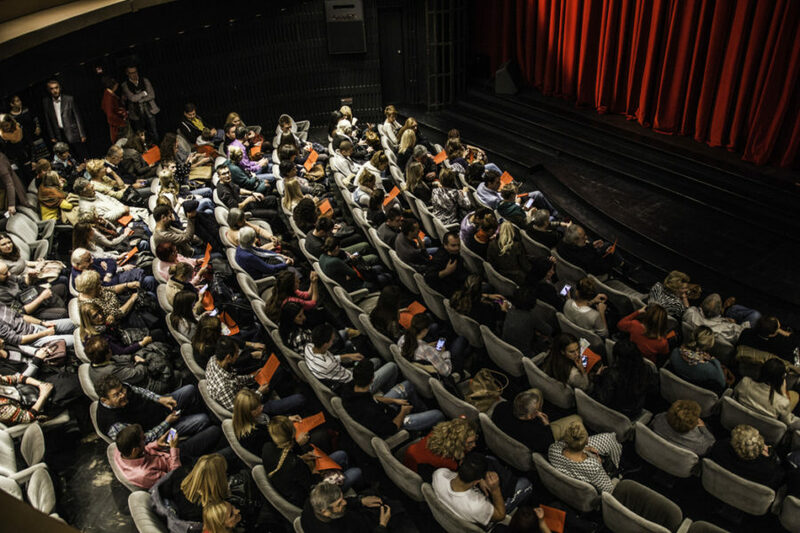 There is a small association in Belgrade whose members — by championing the arts (music, literature, acting) and sharing them with everyone — contribute to enriching the lives of both those for whom they perform and their own. Its name is Akcija za slepe (Action for the Blind). The Association’s regular members are blind and visually impaired persons, and supporting and honorary members include their friends and associates. 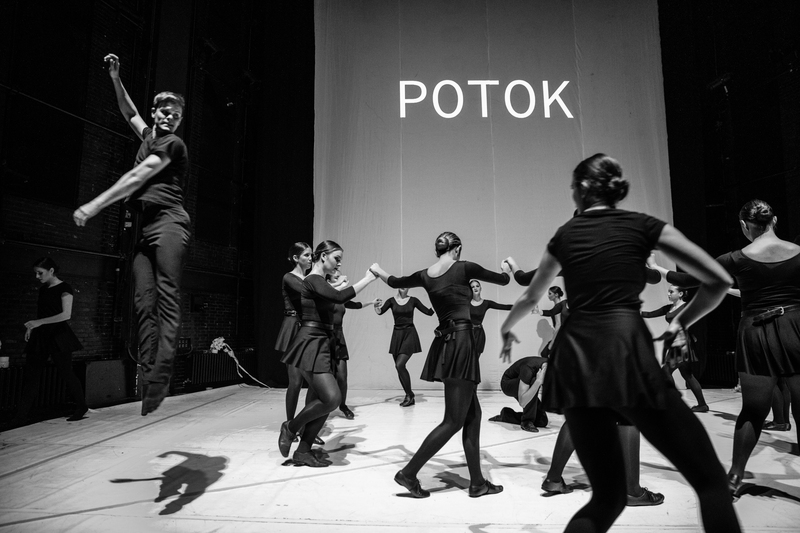 The Association’s main activity is producing motivational performances for young people and the elderly (more than ten already performed in primary and secondary schools and retirement homes in Belgrade and abroad). These motivational performances incorporate prose, poetry, aphorisms, drama, music, and real life stories told by the programme participants. 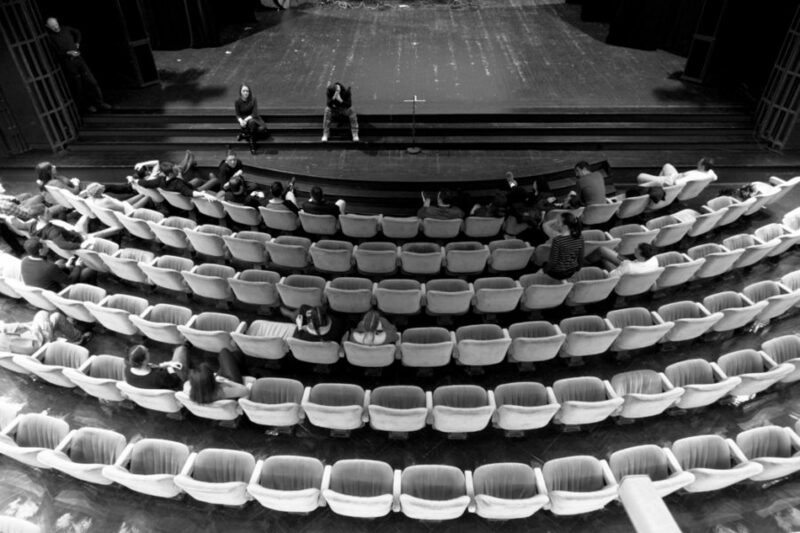 In addition to producing motivational performances, the Association is also publishing (two books and Blagovir, an audio magazine about culture and science); organizing training courses for blind and visually impaired users of computers and smart mobile phones; organizing lectures on Serbian history and other scientific fields; and organizing gatherings where blind and visually impaired people meet public figures (actors, singers, musicians, dancers, journalists, and others). Our track-record so far boasts eight lectures and seven get-togethers. Considering that the Association has no regular financial support whatsoever and that it was launched in May 2015, the results of its efforts are no small feats. What draws forth such verbose introduction? Precisely the fact that altruism at work came about to help this unusual association. 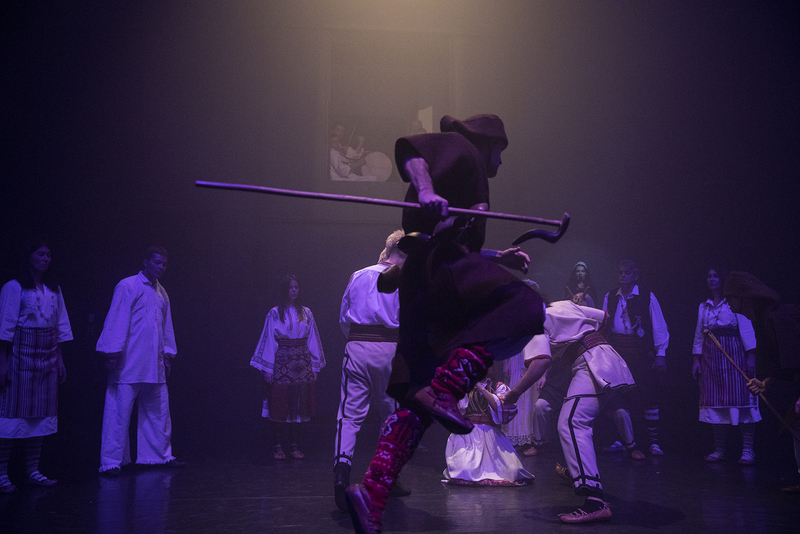 With the generous support of Atelje 212, which donated its Mira Trajlović stage, the Serbian folk dance and song ensemble KOLO performed a charity concert on 17 October 2018 before a crowded house. 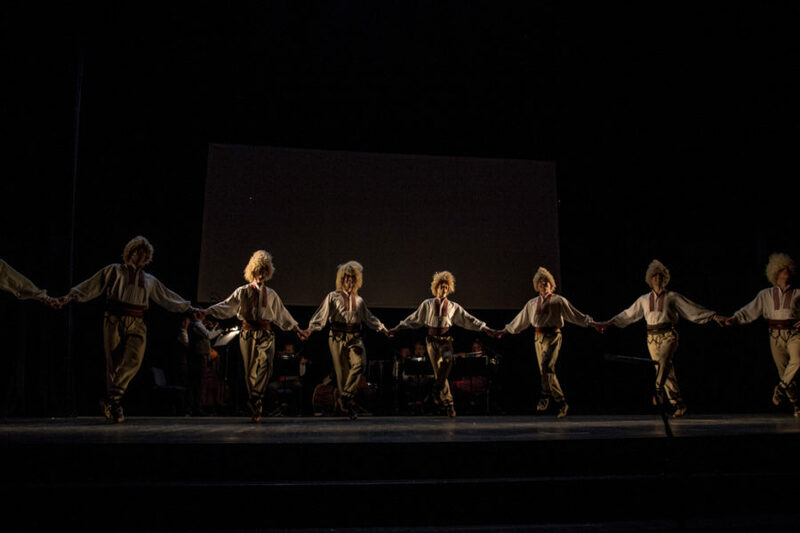 Although I could not see the dancers’ movements because I have complete loss of vision, I was enthralled by the Serbian folk music performed by the Ensemble’s outstanding orchestra and by the magnificent voices of women and men (singer-dancers) that ranged from young, crisp voices to mature ones. One dance followed another: a mix of Serbian dances, Vlach dances, dances from Binačka Morava, gypsy love dance from Vojvodina, dances from Novi Pazar, triple shepherd dance-off, Romanian dances from Banat , dances and songs from Crnorečje, dances from eastern Herzegovina, Šokac dances from Bač and Plavna. I am sure that everyone in the audience wished to soon witness another performance of the KOLO Ensemble. We at Action for the Blind hope that we will soon be able to buy the sound system that will be used for the performances of our amateur theatre of the blind and visually impaired APSIS and our vocal and instrumental ensemble. I’ll end this review on the note that the KOLO Ensemble’s donor concert would not happen had I not been lucky to meet Dr Slavica Žižić, who introduced me to the Ensemble’s director Mr Vladimir Dekić, which led to this wonderful, exceptional concert with palpable humanitarian effect taking place. For this I wholeheartedly thank them on behalf of every member of Action for the Blind.